Perfect for outdoor advertising & events. 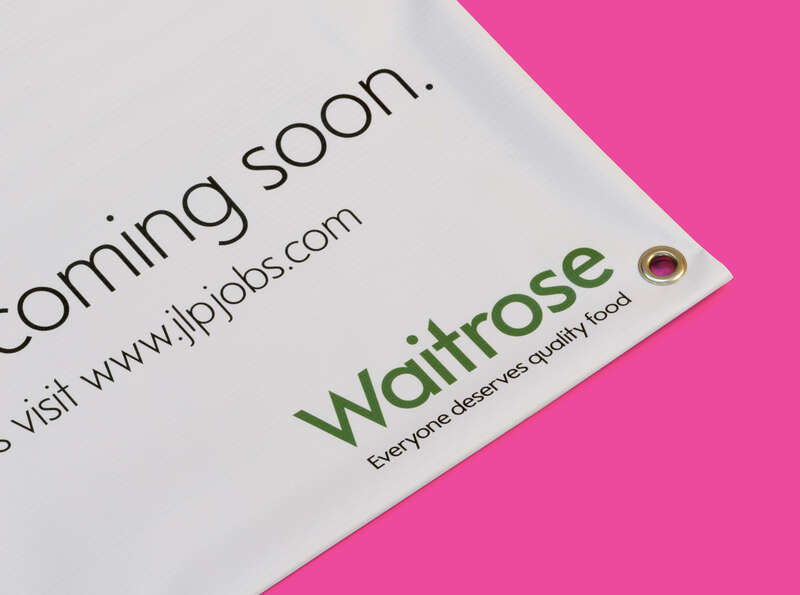 Vinyl Banners are colourful, tough and can be produced in virtually any size. To ensure they survive the British weather, we use materials that are robust and each banner is hemmed to give strength & longevity. They are all eyeleted an supplied with cable-ties allowing them to be easily secured to suitable structures.